Gorgeous Village Builders Patio Home in the Sought After Golf Course Enclave of Homes in the Castlegreen Neighborhood. This Lovely Homes Features a Spacious Dining Area & Study w/French Doors Highlighted by 11' Ceiling and Decorative Windows. Impressive 2-Story Family Room w/Built-Ins & Gas Log Fireplace Opens to the Kitchen w/Double Islands, Walk-In Pantry, Desk and Morning Room. Master Suite Showcases a Coffer Ceiling & Bowed-Bay Sitting Area, plus a Luxurious Bath w/Dual Vanities, Corner Tub and Oversized Walk-In Closet. Upstairs Offers Two Generous Sized Bedrooms, Full Bath & Game Room/Media. Spectacular Views Thru the 2-Story Walls of Windows in the Home to the Side Yard Complete w/Sparkling Pool/Spa and Extended Covered Patio. 3-Car Tandem Garage! 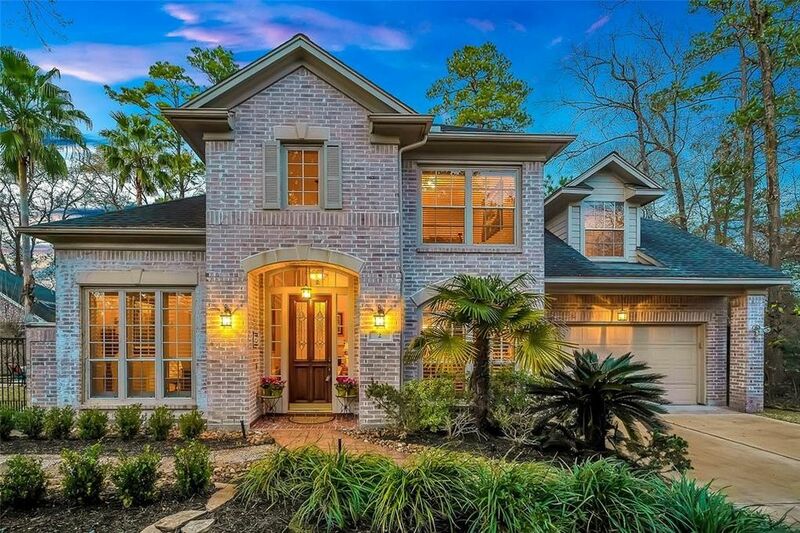 Great Location in the Heart of The Woodlands Adjacent to Walking Path & Palmer Golf Course. NO FLOODING!